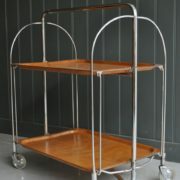 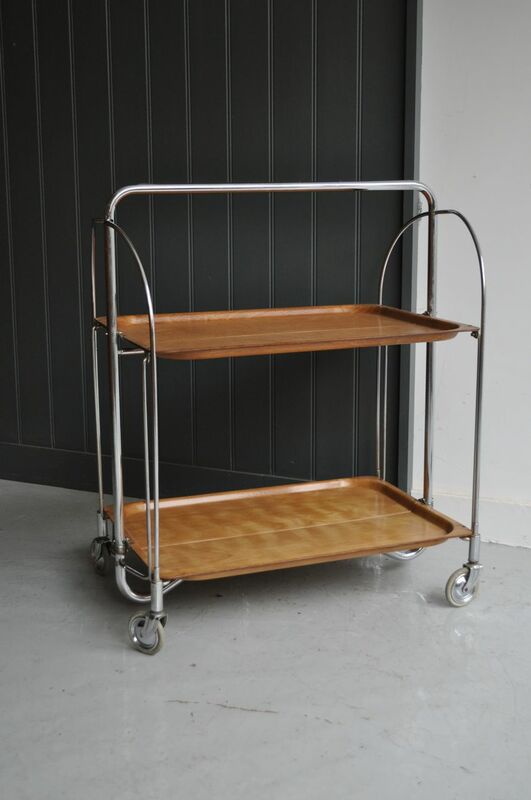 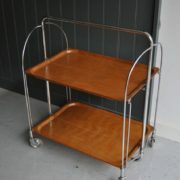 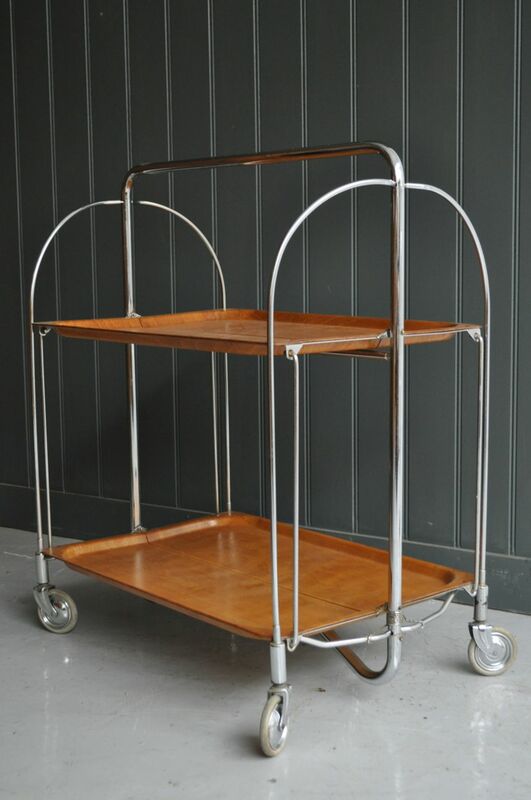 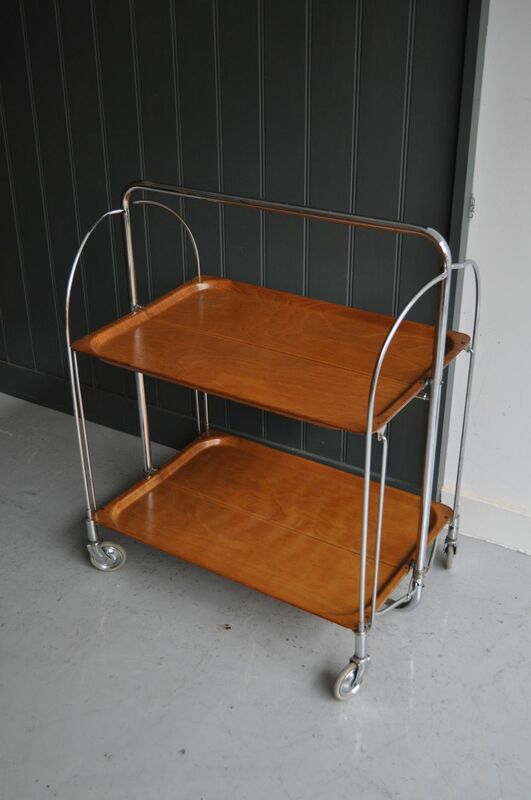 Quirky folding serving trolley with beech shelves and chrome frame. 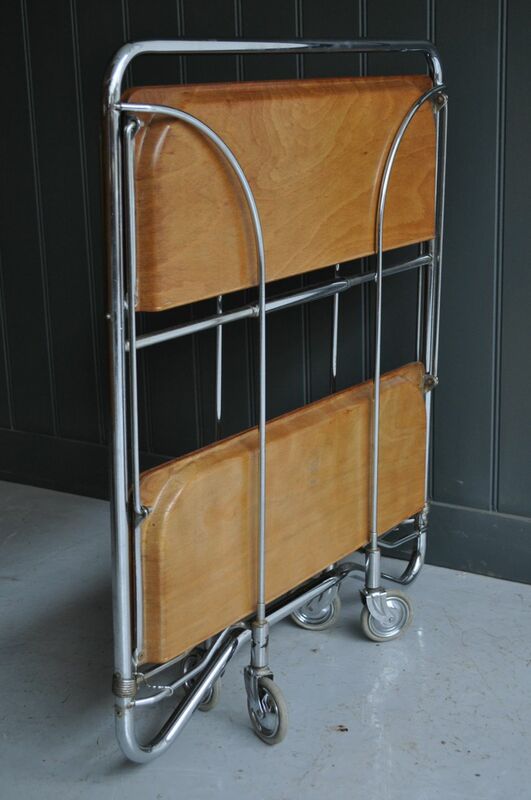 Smooth running castors and lovely condition to both the wood and the chrome. 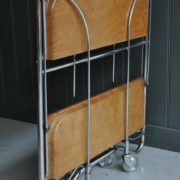 Folds amazingly flat for easy storage if not in service!